Want to still use Wikipedia? So Wikipedia has begun its 24 hour blackout to protest the anti-piracy / internet censorship bill SOPA which is cool and all, but we all want to be able to use Wikipedia, right? Well if you find yourself in need of some quick facts, simply Google whatever you want to find on Wikipedia with the word Wikipedia in your query (i.e. “Mountain Dew wikipedia). When you see the Wikipedia page in your search result click the double arrows to the right of the result which will open a page preview. Above the preview you should see a link that says ‘cached’. Click this and it will take you to Google’s archived version of the page which is still available for viewing. Here is the cached version of the Wikipedia page on Mountain Dew. It looks like FOX has another hit show in their hands with Alcatraz. I just watched the pilot episode on Hulu and it blew me away. It looks great, it sounds great and it kept me on the edge of my seat throughout. The actors in the show perform wonderfully, including the fan favorite “Hurley” from LOST who is a main character on the show. The music adds to the suspense and atmosphere perfectly and the storytelling and pacing are just right. The show reminds me of Fringe with its sort of sci-fi crime thriller / mystery theme which can only be a good thing. Hey, I just wanted to jump on real quick and make everyone aware that right now you can get a 12 month subscription to Xbox Live for just $39.99, as opposed to the regular price of $59.99, through various retailers including Amazon which sells a digital version (in otherwords as soon as you purchase it you’ll receive a code to punch into Xbox Live, and there you have it, quick and simple). Definitely take advantage of this if you’re a Live gamer. I believe this deal is also available through GameStop but only to PowerUp members. It isn’t advertised, but yesterday my friend went to buy a card at GameStop (before I knew about the deal on Amazon) and after they scanned his card they changed the price to $39.99. I was reading an article in Edge about how Apple has revolutionized mobile gaming and is gaining more and more of the market that used to belong to Nintendo, and it got me thinking…What if Nintendo made iPhone games? Wouldn’t that be awesome? There are plenty of incredibly designed games out there in the iTunes market, but Nintendo still has the ability to create some of the best games on the mobile platform. So is the solution just to buy a DS? Not for me. I don’t want to have to carry a DS around with me at all times and even if I did I doubt I’d find the pocket room. To me mobile gaming is about having quick access in times of need, say on a bus ride or in line at the store. I don’t want to make the conscious decision, ‘Hey I need to bring my DS in case I end up with some free time’, rather I want my games readily accessible in a way that doesn’t create any unnecessary burden. Therefore having a phone double as a gaming device is the perfect solution. I always have my phone and it has plenty of practical uses other than gaming. The iPhone is as capable (well I’m no technical expert, but from what I’ve seen) as a Nintendo DS. There are some games with pretty decent 3D graphics that run and play well on the device. Grand Theft Auto III is a great example, it’s a PS2 game that looks nice on the iPhone. Grand Theft Auto: Chinatown Wars is actually a DS game that is ported to the iPhone, and again it works just as well as it did on the DS. So why can’t I have New Super Mario Bros. on my iPhone? We all know the answer, Nintendo wouldn’t do this because they want you to buy a Nintendo DS to play their games. The problem is there are thousands of gamers out there who would gladly shell out for quality Nintendo titles on the iPhone who have absolutely no interest in purchasing a Nintendo DS. Is there any middle ground here? Microsoft has announced it plans to bring its Xbox Live marketplace to the iPhone and Android devices which had previously been exclusive to Windows phones. They realize there’s plenty of money to be earned selling games to those who have no interest in the Windows phone platform. Nintendo is losing its hold on the mobile gaming market faster than ever, and I think the solution is to sell its games on other devices. Maybe they could release a DS app for the iPhone for say an initial price of $50 that would earn them some money to make up for people not buying the DS hardware, and then inside that app sell the DS games for let’s say $15-30 a piece. They’d easily dominate the top 10 charts which have been dominated by the $0.99 Angry Birds for what seems like forever. It’d be win-win, we as gamers would get access to some of the best mobile games out there, while Nintendo would earn some money in what is becoming one of the largest markets in video games. That’s right, not just in mobile gaming, but in video games period. I know this will likely never happen, but a guy can dream can’t he? What do you think? 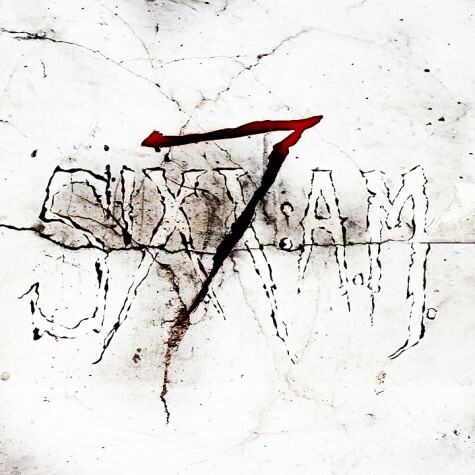 Sixx: A.M. is a wonderful hard rock band lead by Nikki Sixx, the bassist for Motley Crue. Their music is hard hitting and emotional, and on their new acoustic EP “7” this really stands out. James Michael’s vocals cry out over the acoustic guitar carrying so much emotion and beauty that it’s easy to get absolutely lost in the feelings created. “Life is Beautiful” is probably the hit Sixx AM is most known for and is in my opinion the best track on the album, but each of the seven songs is a worthy selection from The Heroin Diaries and This is Gonna Hurt. Definitely recommend you give this album a listen and also check out their two LPs.